Staying on track with your wellness goals can be hard, especially if you don't see any visible signs or the scale moving. Being a mom can be stressful, but that doesn't mean I don't have non-scale victories that are helping me achieve my total wellness goals. There are many ways that I have noticed that I am working towards my wellness goals. I have noticed that I have increased energy which means I have been able to get more done around the house and exercise more. I have also been taking Nature Made VitaMelts Vitamin B12 that I bought at Walmart. Vitamin B12 can help increase energy and Nature Made is the nation’s #1 best-selling brand for quality vitamins, minerals and supplements* to help support nutritional gaps. 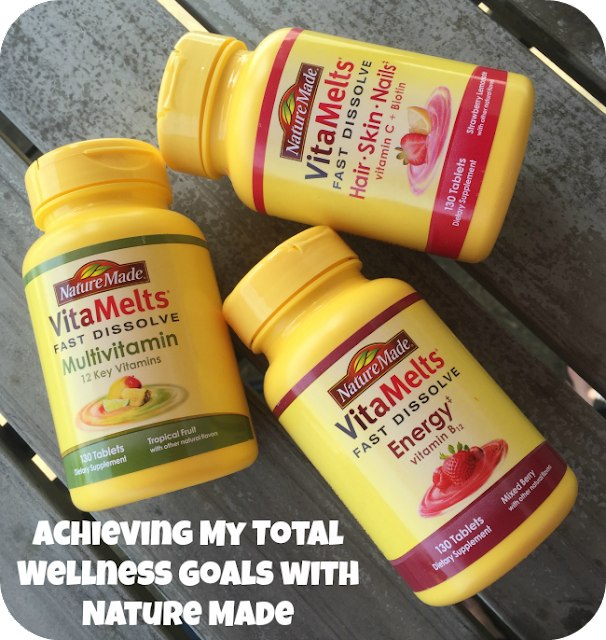 Walmart was a great place to purchase my Nature Made vitamins because they have everyday low prices and I don't have to wait for a sale. 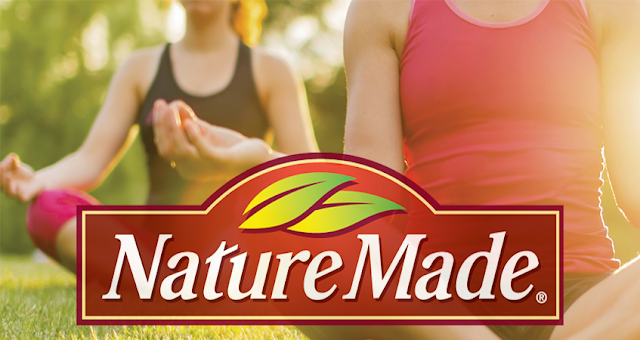 Nature Made is the #1 Pharmacist recommended supplement brand in 9 categories. ** I have been receiving Daily Boosts from Nature Made. And not only are they a helpful reminder to take my vitamins (even though I get them bi-weekly), but they are full of inspiration to help me reach my total wellness goals. I'm working towards a better me and I am loving all the help along the way. The Nature Made Daily Boost program is here to help keep us inspired and stay on track with our goals to achieve total wellness in 2016! Enter for a chance to win 1 of 20 $50 Walmart gift cards! *I-C will randomly select 20 winners from all program entries and will handle fulfillment of the winning prizes. Readers can enter by choosing a social media sharing option from the social media amplification tool. The contest opens on April 5 and closes on April 26.